A closure order has been granted for a property in Watford after a quantity of suspected Class A drugs were discovered during a warrant. Four people were arrested during the warrant on suspicion of possession with intent to supply Class A drugs. They were a 21-year-old man from Edgware, an 18-year-old man from Stanmore, an 28-year-old woman of no fixed address and a a 33-year-old woman from Watford. 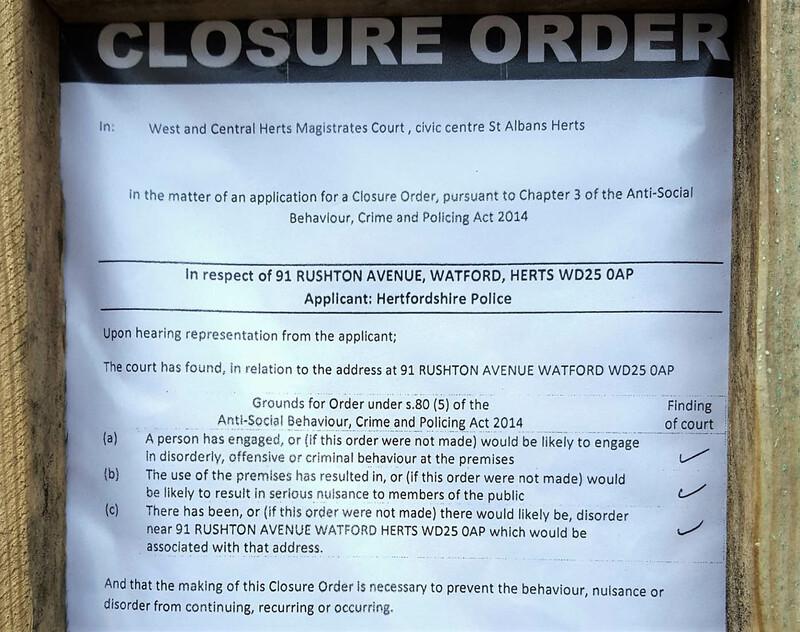 The three month closure order was subsequently granted at St Albans Magistrates on May 15 under the Anti-Social Behaviour and Policing Act 2014. Officers from the Safer Neighbourhood Team raided a flat in Rushton Avenue and found a quantity of suspected Class A drugs were discovered during a warrant on Thursday, May 11, under section 23 of the Misuse of Drugs Act 1971. Hertfordshire Constabulary worked in partnership with Watford Community Housing Trust to gather evidence in support of the closure order which prevents anyone from entering the property for three months. Anyone who breaches the order can be arrested. 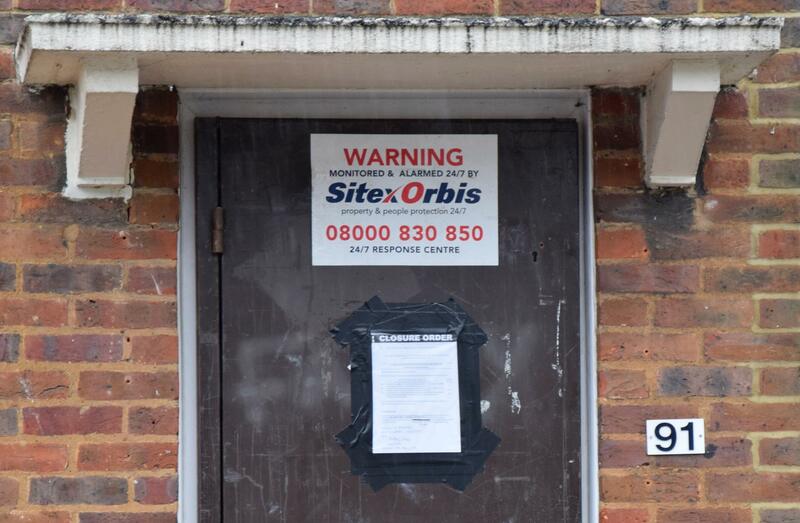 “Following a number of serious complaints from local residents about a property in North Watford, a joint approach was taken to address the problems. “We are proud that our partnership work has resulted in a closure order being issued on the property this week. All four have been released while under investigation. Anyone who suspects drug crime in their area can report it via the non-emergency number 101.